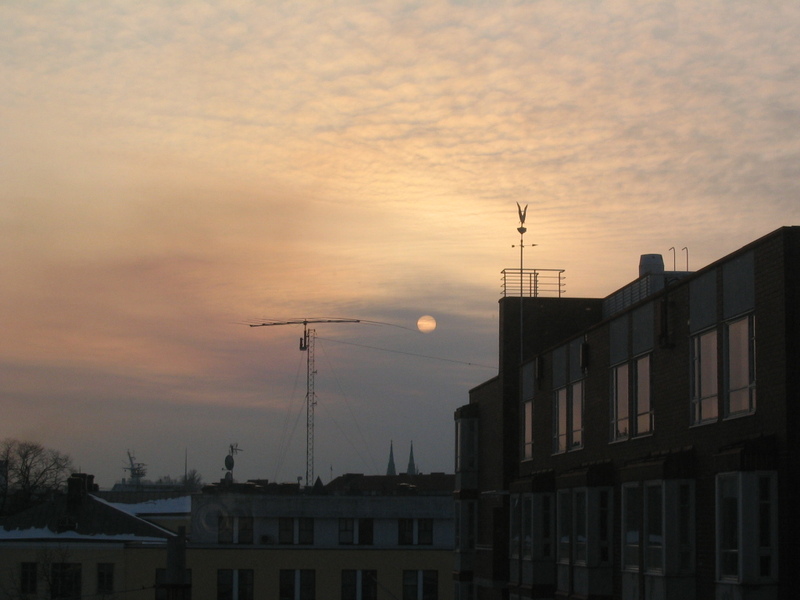 Here a bit of an emphasis on celestial phenomena. 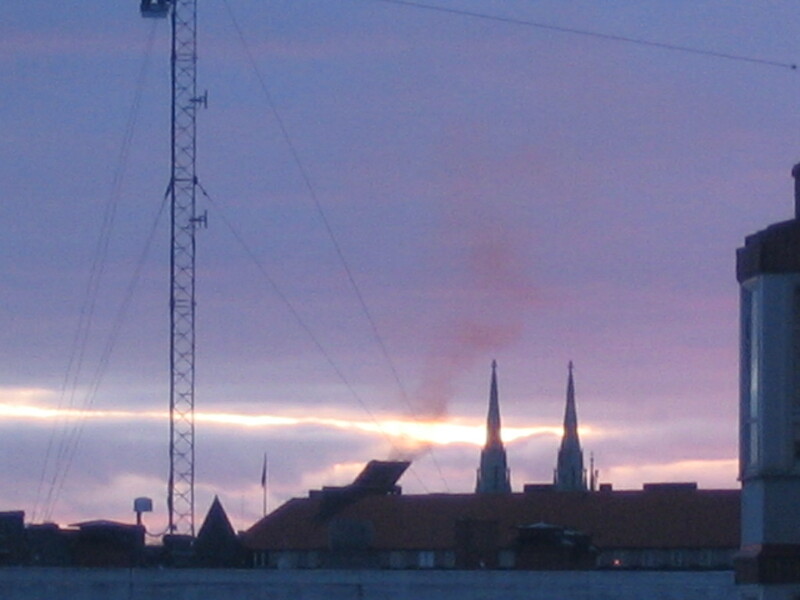 From the kitchen window of the apartment: looking west toward downtown, with the smokestack of a cruise ship intervening in the harbor between Katajanokka and the mainland. 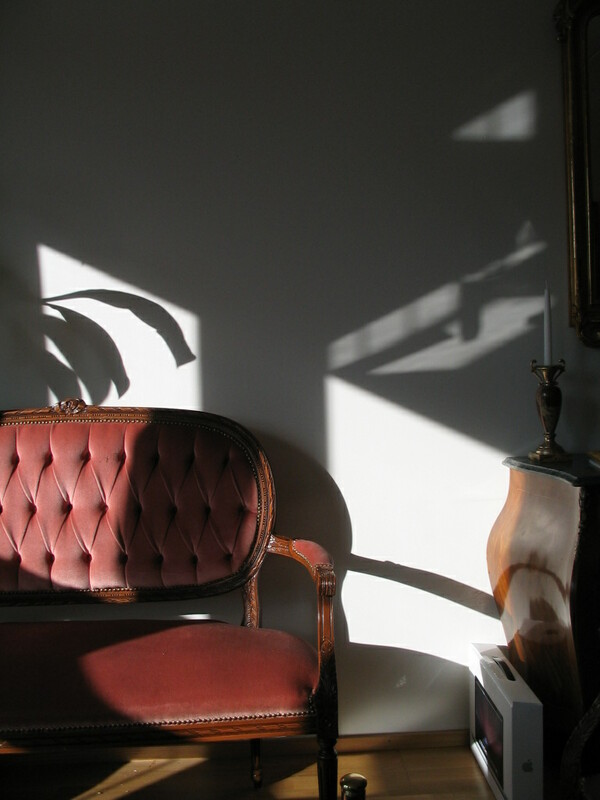 Lovely crisp sunlight streaming into the living room. 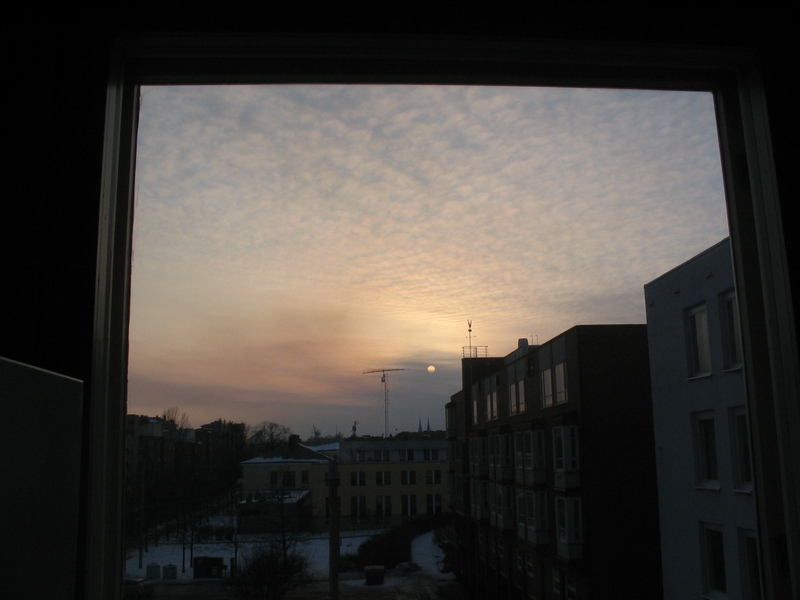 The apartment certainly did everything it could with the daylight it got. 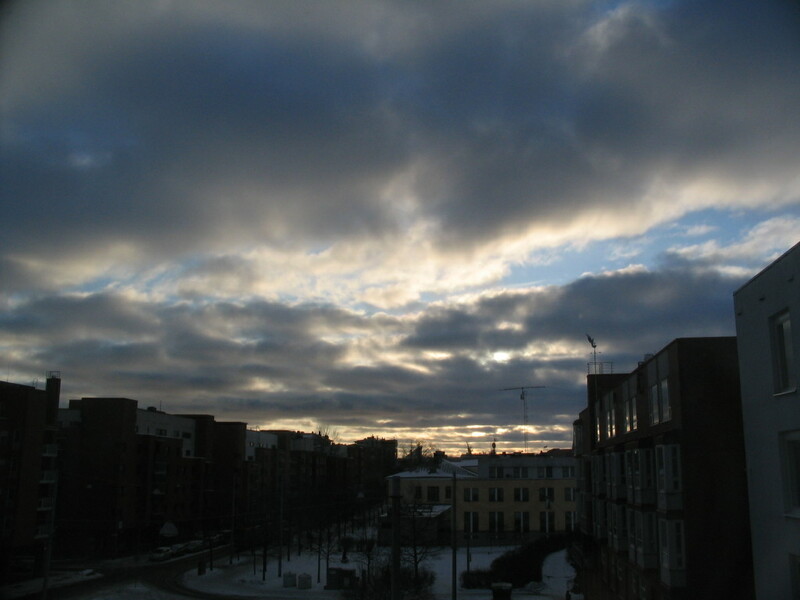 Another late afternoon with roily clouds. 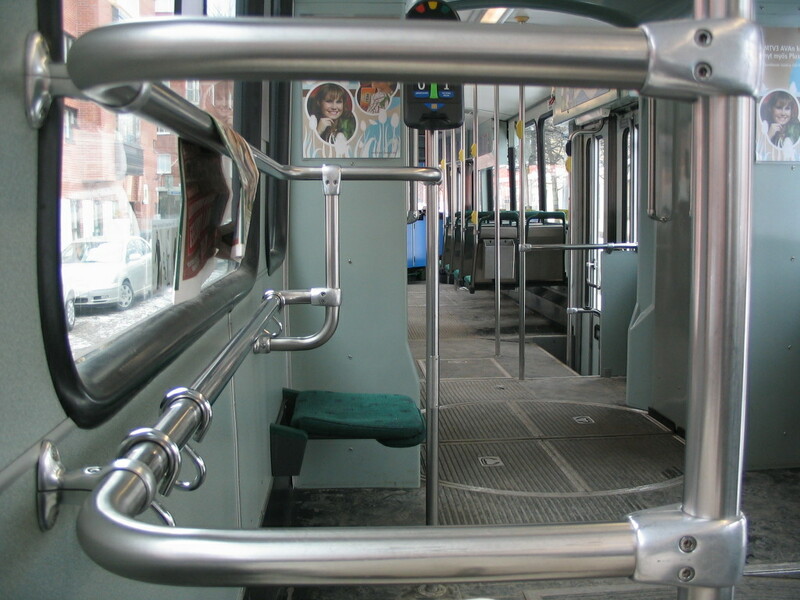 From a seat of one of the older-style trams. 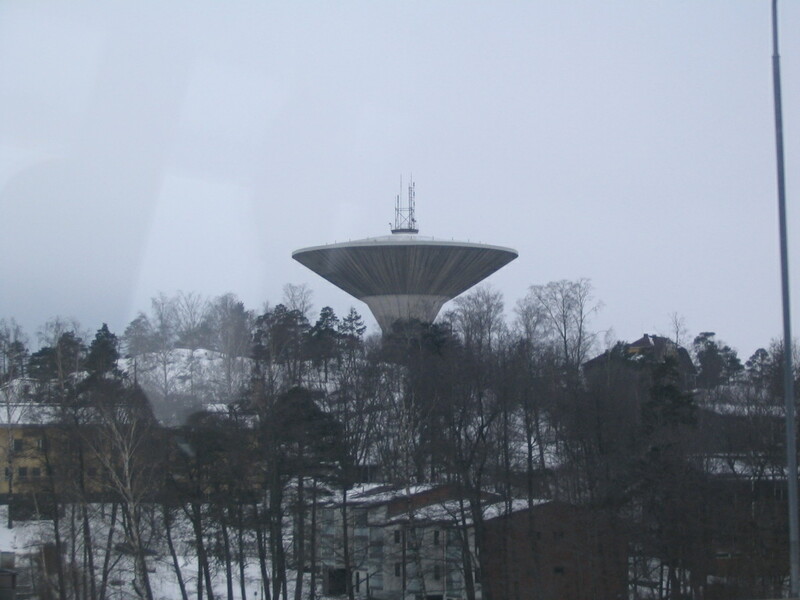 The UFO-like water tower (although this seemed a common shape for them) on Lauttasaari, an island between Helsinki and Espoo that was skirted by the highway we took to TKK. 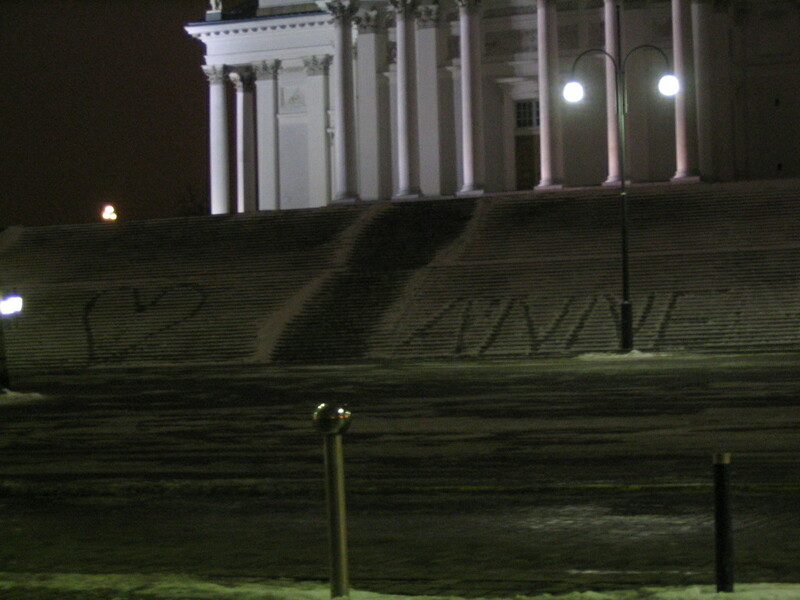 Senaatintori steps had a message. I wonder what Anne thought about this. 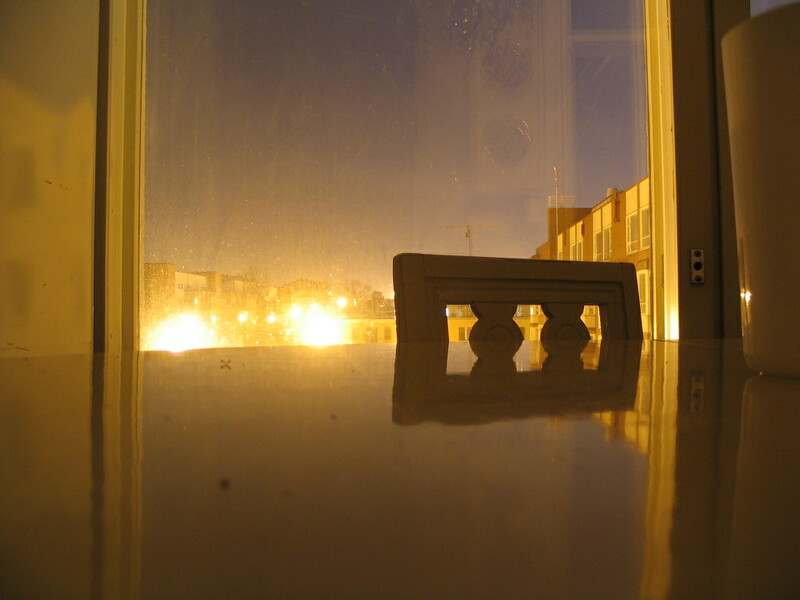 Night shot of the lights in the square from the kitchen table. 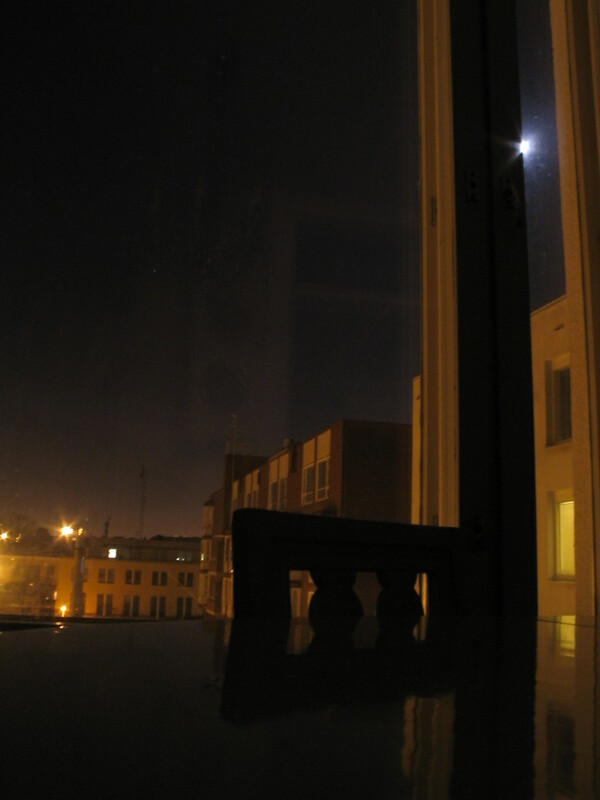 Oh yes and also the moon. 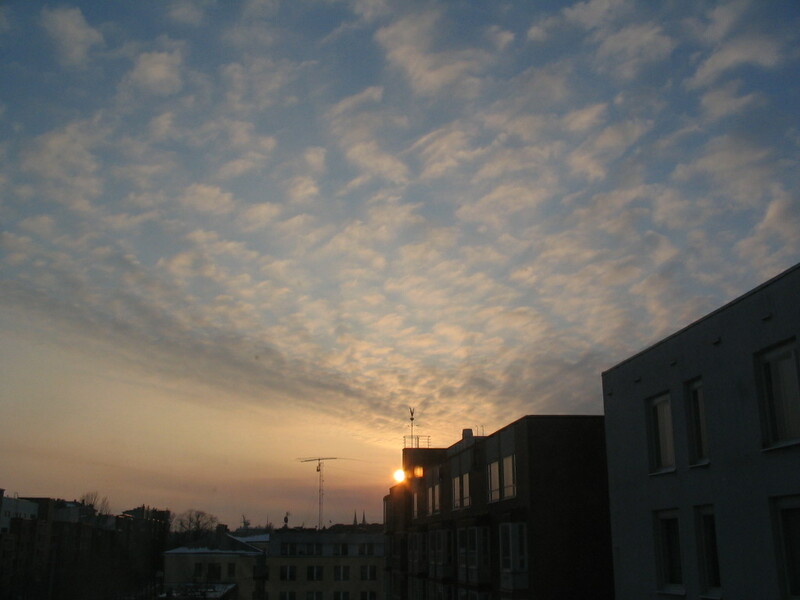 Late sun, enervated by the bank of altostratus before it. Ah, but then it reemerged. 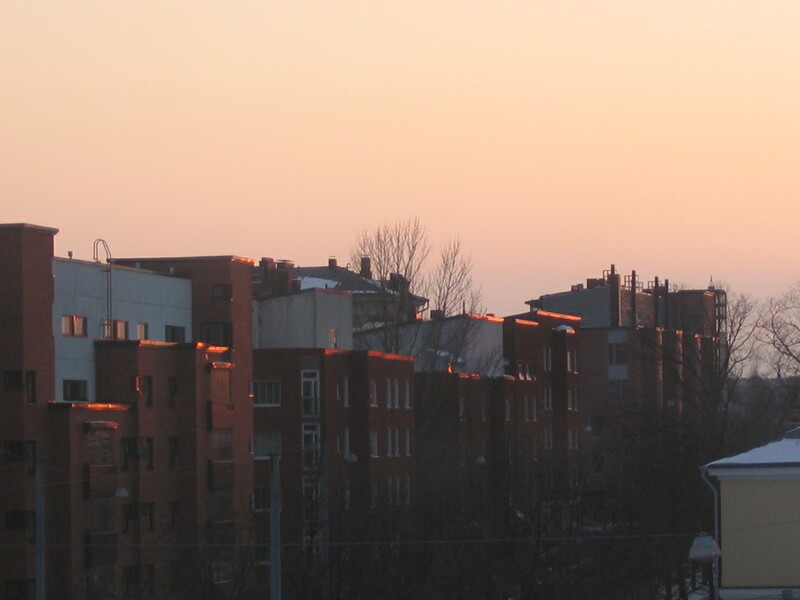 Red sunlight on the flashing of the buildings down the street. 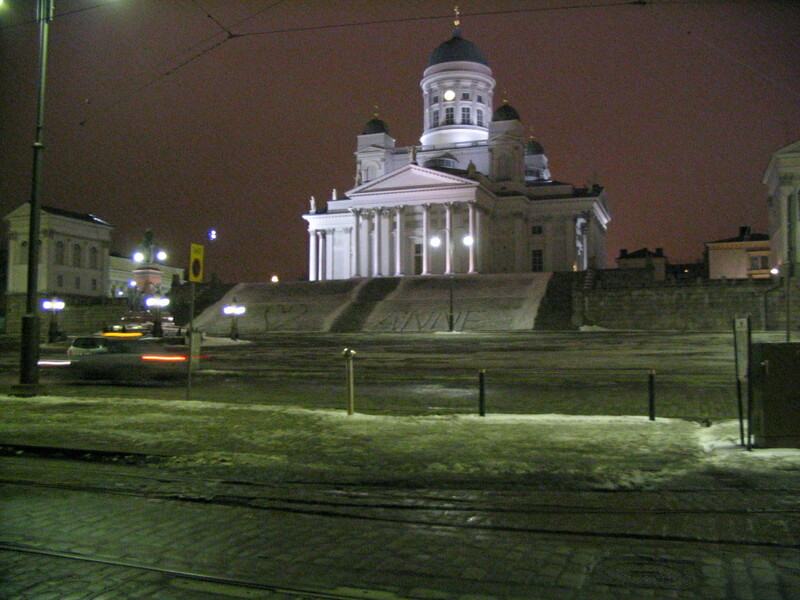 Looking east on Aleksanterinkatu from Mannerheimintie; a typically busy scene. 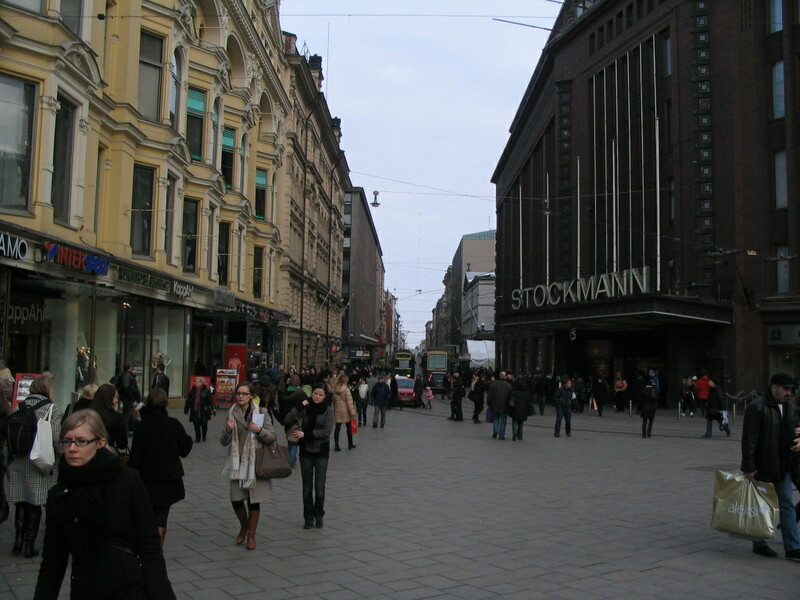 Aleksi is the biggest shopping street in Helsinki, and Stockmann is pretty much the anchor store for the whole city.